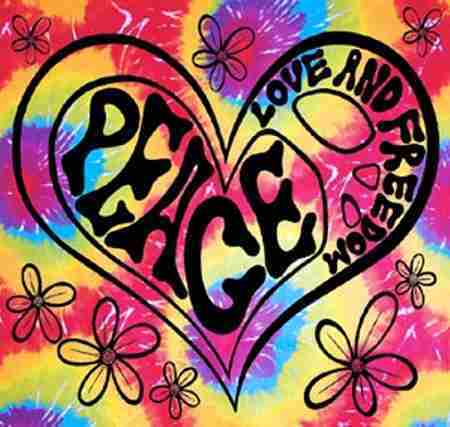 Release your inner hippie and hang this cool peace tapestry on your wall. This tapestry wall hanging is printed in high quality silk screen on vibrant tie dye cloth. Size: 40 inches by 45 inches. It would look great on your wall.